This Saturday, February 27, marks the 156th anniversary of Abraham Lincoln's famous Cooper Union Address, also known as his "Right makes Might" speech, which is widely credited with earning him the Republican nomination in 1860. Later that day, Lincoln headed up Broadway to Mathew Brady’s photography studio.... Brady and his assistants posed Lincoln standing, his right hand resting on a stack of books to show his erudition; behind him sits a classical pillar, a similar trope found in many formal portraits and statuary. 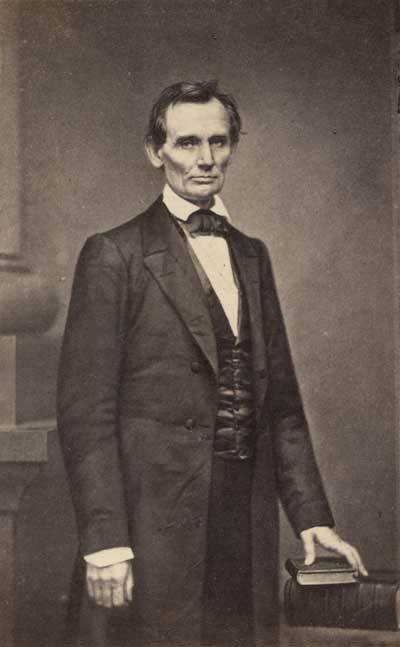 After the photo was taken, Brady retouched it in the darkroom, including fixing Lincoln’s wandering left eye. He couldn’t, however, do anything to make his jacket fit any better—Lincoln’s right shirt cuff sticks out far beyond his sleeve—nor could he do anything to smooth out the future president’s wrinkled suit. That evening, Lincoln addressed a huge audience at Cooper Union. Industrialist and inventor Peter Cooper had built the school just a year earlier as a free institution of higher learning. The Great Hall remains one of the largest lecture halls in New York, and, as anticipated, Lincoln drew a standing-room crowd. "Your purpose, then, plainly stated, is that you will destroy the Government, unless you be allowed to construe and enforce the Constitution as you please. . . . You will rule or ruin in all events." Lincoln closed with the stirring lines that would soon be repeated in newspapers across the country—in all capital letters, as if he were shouting: LET US HAVE FAITH THAT RIGHT MAKES MIGHT, AND IN THAT FAITH, LET US, TO THE END, DARE TO DO OUR DUTY AS WE UNDERSTAND IT. While Cooper Union is still going strong, Mathew Brady's portrait studio where he shot the Lincoln portrait is long gone. However, if you find yourself in Tribeca, a building that housed another Brady studio still stands at 369 Broadway. There's no sign or marker, but it's worth taking a look next time you're in the neighborhood. 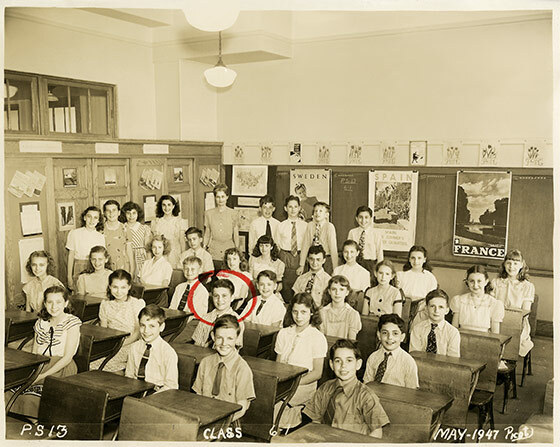 This class picture from May 1947 shows students at PS 13 in Queens. The boy whose face is circled in red is Antonin Scalia, who passed away this past weekend just a month shy of his 80th birthday. Scalia would, of course, grow up to be a conservative member of the Supreme Court and his death in an election year has caused great speculation as to what President Obama and the Senate will now do. James moonlights as a political commentator at The Guardian, where he comments on the intersection of history and politics. Yesterday, he compared the current situation to two instances in the 19th century when justices had died during election years. You can read the story at: http://www.theguardian.com/commentisfree/2016/feb/17/republicans-block-supreme-court-nominations-history-backfires. Today's image shows the Dakota Apartments, ca. 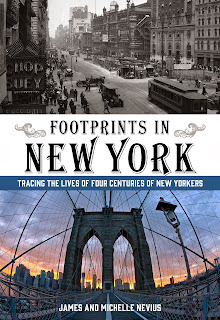 1890, when the Upper West Side was first becoming a significant residential neighborhood. When the building had opened six years earlier, it stood the notion of apartment-living on its head. Prior to this point, bachelors and immigrants might live in hotels and tenements, but the idea of a luxury apartment building was unheard of. 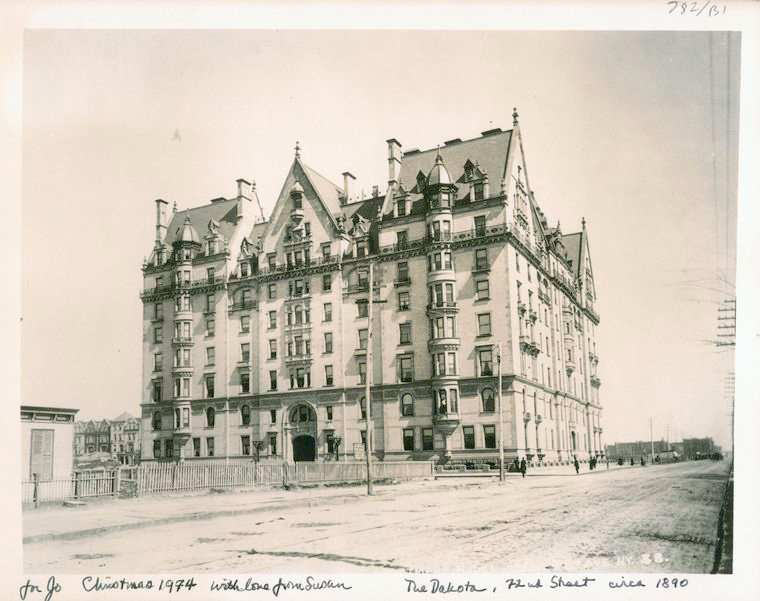 the cornerstone was laid for the Dakota at 1 W. 72nd St. in 1880, spurring a revolution in luxury living. The developer, Edward Clark, had the bad habit of selling apartments before they were finished, which sent architect Henry Hardenbergh scrambling to revise his blueprints during construction. As a result, according to Stephen Birmingham’s book “Life at the Dakota,” spaces ended up as small as four rooms and as large as twenty. Currently, there’s an 11-room apartment — complete with seven working fireplaces — on the market for $15.5 million. That’s for a space without Central Park views. 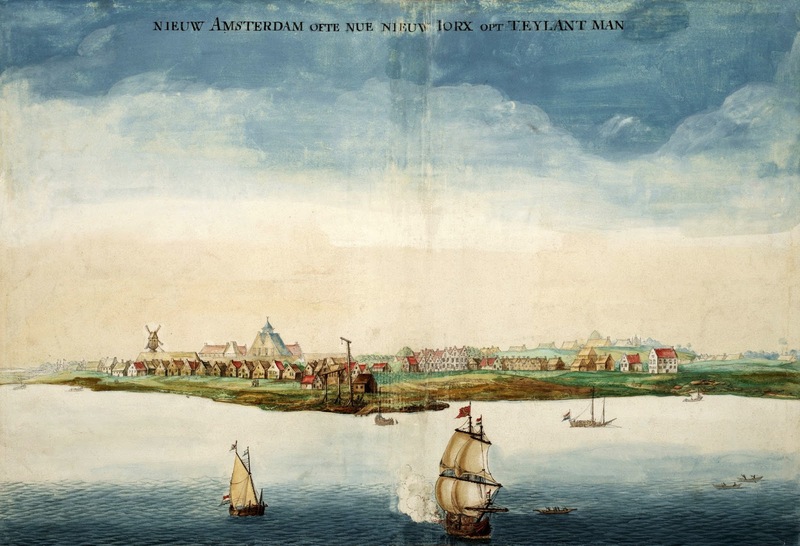 The picture above is a version of the only known image of New Amsterdam before it became New York. 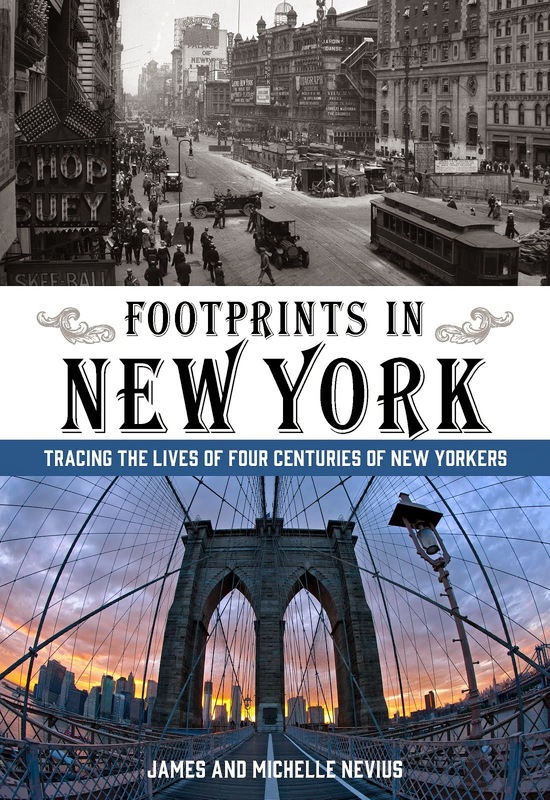 This week marks this city's birthday—on February 2, 1653, New Amsterdam became the first chartered city in the New World. appointed an advisory board of citizens—called the Nine Men—to help guide him. It was led by Adriaen van der Donck, the colony’s only lawyer. Van der Donck, sensing an opportunity to effect change in the colony, hijacked the group.... Under Van der Donck, the board prepared a petition for the Dutch parliament, outlining how the company was ruining the colony. Van der Donck personally sailed to The Hague to deliver it. For a brief moment, it seemed like the government might side with Van der Donck, but ultimately they decided that New Amsterdam was better off remaining in the company’s hands. As a consolation, parliament agreed to give the colony a small measure of self-rule. New Amsterdam would now have town magistrates, and to house this new government, the city tavern on Pearl Street—built during Kieft’s administration—was handed over to them. On February 2, 1653, New Amsterdam became an official city and the city tavern became the Stadt Huis (“city hall”). The depiction from 1664 above (attributed to Johannes Vingboons) is based on a 1650 watercolor sketch of New Amsterdam, the earliest—and most vivid—depiction of the town (below). 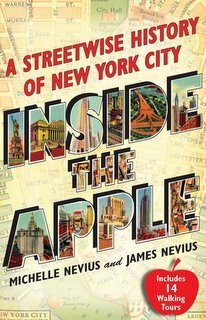 It was probably painted by Augustijn Heerman, one of the Nine Men, and was designed to show how terrible Manhattan had become under company rule. Though it is hard to see in this reproduction of the Heerman view, a sad windmill stands to the far left with just two working arms. Compare that to the Vingboons image at the top, where the windmill is complete. The building with the red roof at the far right of both images is the Stadt Huis. 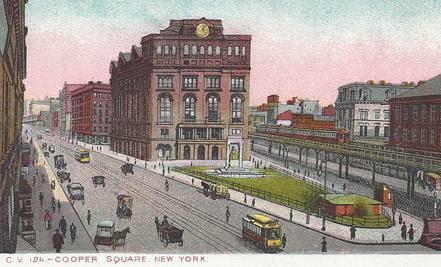 Today, no trace of the Stadt Huis remains; its approximate location is marked by a yellow brick outline in the pavement on the Pearl Street side of 85 Broad Street.